The Housing and Planning Bill has been announced and is making its way through the Commons. The government is using the legislation to drive through some major changes that threaten to weaken social housing and harm the poorest members of society. But they're also embarking on some much-needed changes to the private rented sector which should help to root out illegal practices and improve renters' homes. The Bill is silent on security for renters. At a time when millions of us have no option but to rent privately, we need to start having some protection from eviction on a landlord's whim: today we launched a petition calling for this. Please sign it and help us persuade politicians to give everyone a stable home. This is a guest post from Joanna White of Property Principles. To write for our blog, please contact us. Moving house is stressful enough - finding a suitable flat, packing up your things, trying to avoid paying double rent for too long. And then there's the question of whether you'll get your deposit back. If ever there was a case for the reform of private renters' rights it's this. Residents of Dorchester Court in Herne Hill all rent from the same landlord, Manaquel Ltd. In recent years, the company has tried putting up the rent by 30% in many cases - some of the residents managed to negotiate a lower increase, but are still paying much more than before. This year, instead of having their tenancy renewed, the landlord has been issuing them with section 21 eviction notices - giving the tenant 2 months to leave - without giving them a reason or any option to stay. When a tenant has a landlord who refuses to make repairs to the property, the local council should be their next port of call. Unfortunately, local council environmental health teams are woefully under-resourced and many cases of unsafe housing slip through the net - there are an estimated 16% physically unsafe privately rented homes. Where the council doesn't take action, it is technically possible for the tenant to take their landlord to court - but only if their rent is below £80 - a year. There is a requirement for landlords to ensure that homes are fit for human habitation but it's limited to rent levels last set in 1957. Karen Buck MP is setting out today to change that. "Generation Buy". Doesn’t quite have the same ring to it. For baby boomers and Generation X, buying a home was taken for granted, and no one calls those cohorts "Generation Buy". But David Cameron seems fond of the phrase and if it means that he’ll stretch every sinew to make it happen, fine. First time buyer numbers plummeted a decade ago from a peak of 600,000 to 300,000 today, hence the rise of generation rent. Most private renters still want to buy a home, and the government recognises this; George Osborne said before this year’s election that he wants to double the annual number of new home owners. But the Prime Minister won’t change anything about home ownership with the policy he talked about in his speech to Conservative Party Conference. “Starter homes” are his latest wheeze, following the failure of Help to Buy to revive aspiring home owners’ fortunes. These privately built homes will be sold at a 20% discount to first time buyers. If house prices keep rising at current trends, that means that in 2018, you’ll be able to buy a new-build flat at 2015 prices. Sorry Dave, but I won’t be opening the champagne quite yet. Generation Rent was due to present a workshop at the first People's Housing Conference next Saturday. Unfortunately this has been postponed. There are a couple of events coming up - World Homeless Action Day and MIPIM - that activists can get involved with. More details and a full statement are available on the People's Housing Conference website. Each year 1.5 million private renter households move home - that's about a third of the renter population. And each year, around 200,000 people move into private renting for the first time. Whether you're moving out of your childhood home, or this is your fifth move in as many years, make sure you're aware of your rights. We have worked with the TDS Foundation to produce a guide to your rights as a tenant. The position of renters is slowly improving - today protections against revenge evictions come into force and landlords are required to fit smoke alarms - but it is still easy to get ripped off if you aren't prepared. Printed copies of the guide are available from Generation Rent on request. Once you've brushed up, test yourself with a quiz we've put together with the Mirror. Tonight, BBC One's Inside Out looks at the housing shortage and the desperate need to build more homes. This morning's headlines quote the housing minister Brandon Lewis telling the programme that success for the government on housebuilding would be building 1 million more homes by the end of the Parliament. 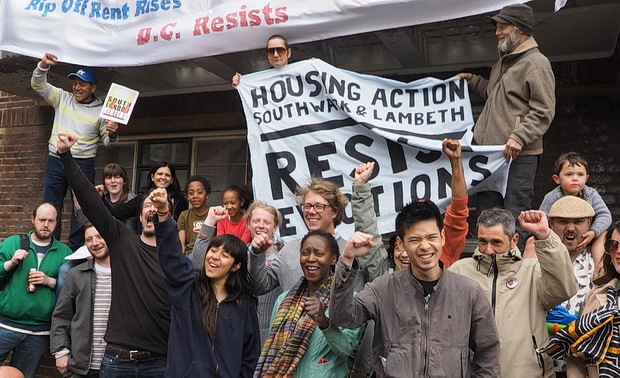 Generation Rent has raised enough money to keep campaigning for private renters across the UK, amassing nearly £18,000 in donations. A month ago our future looked very bleak, with no guarantee that we would be able to survive past September. The team here has thrown everything we had at fundraising and we have been humbled by the response. Since we launched our emergency crowdfunding campaign at the end of July, 371 people have donated a total of £17,982. With our grant from the Joseph Rowntree Reform Trust of £45,500, these funds allow us to continue our work in London and nationally with a team of two: director Betsy Dillner and communications manager Dan Wilson Craw.